The Program clarifies that vocational education and general education are two different types of education and have the same important status.” Han Fengqin believes that the “type theory” is pioneering in the reform of the program, and the status of vocational education will be greatly Upgrade. In Han Fengqin’s view, a development space for education determines the social status of this education. Graduates of vocational schools are restricted from entering administrative institutions, and many recruiting units also exclude vocational students. Faced with this phenomenon,check here Article 15 of the Program specifically clarifies the level of treatment of technical personnel, and gradually increases the income level and status of technical personnel, especially skilled workers. Including: Firstly, encourage the promotion of job ranks and the distribution of wages to key positions, production front-line positions, and high-level, high-skilled talents that are in short supply. 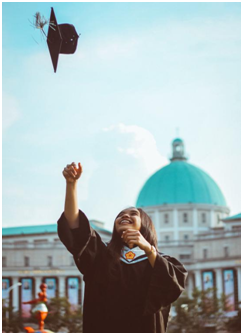 Secondly, actively promote the vocational college graduates to enjoy the same treatment as ordinary college graduates in terms of settlement, employment, participation in government agencies, job title evaluation, and promotion. The recruitment of personnel by institutions, enterprises and institutions shall not discriminate against graduates of vocational colleges. The Program also proposes to carry out pilot programs for vocational education at the undergraduate level. Han Fengqin said that the background of the pilot is that the development of vocational education in China is not perfect, and it is not connected. Moreover, the rapid development of vocational education proves this point. In the early 1980s, the Chinese government proposed to accelerate the development of secondary vocational education. Most local governments turned the poor ordinary high schools directly to vocational high schools. In the late 1980s, under the background of vigorously developing higher vocational education, most higher vocational colleges were either upgraded from secondary vocational schools or transferred from other institutions of higher learning with low status or low quality. In addition, the undergraduate degree of the vocational education system is extremely lacking. check here Since the public education began to be promoted in 2005, according to the current policy, the promotion of vocational education can only be realized in the ordinary higher education system. The whole society creates an atmosphere that attaches importance to skills and attaches importance to the development of vocational education. To transform the traditional concept of ignoring vocational education in the society, we must vigorously publicize the social contribution of outstanding first-line technical talents. In terms of concept, we advocate a skill, not only academic qualifications, but diplomas, and create a good social environment for the development of vocational education.